Collect acceleration, rotation, and altitude data in the classroom or in the field. The Go Direct Acceleration Sensor connects via Bluetooth® wireless technology or via USB to your device. This 3-axis acceleration sensor has two acceleration ranges plus an altimeter and a 3-axis gyroscope. An additional channel measures the angle of the sensor’s long axis. Measure helmet impacts in concussion-related investigations. Slip it into your pocket and pirouette or ride a half-pipe. Mount this accelerometer on your bicycle or affix it to your lab cart without any dragging cables. The wireless Go Direct Acceleration is Vernier’s most versatile sensor for studying acceleration, rotation, and altitude in the classroom or the field. 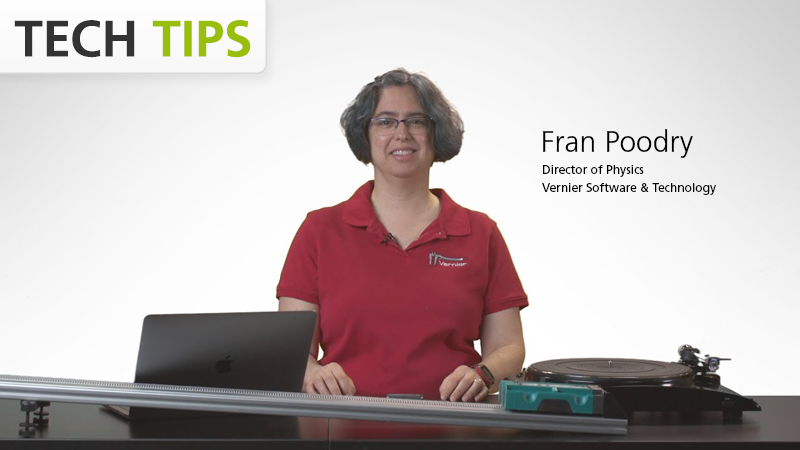 Watch as Fran, our physics specialist, first investigates a collision by attaching the sensor to a cart and then measures rotation by placing the sensor on a turntable. The Go Direct® Acceleration Sensor is fully supported with LabQuest 2 (version 2.8.5), a standalone data logger with built-in graphing and analysis software.